to their own sites and how the cookie notice can be displayed, we decided to display it automatically on all our sites. Now our customers are on the safe side when it comes to cookie notices! Those of you who have already added a notice of your own can remove it now. 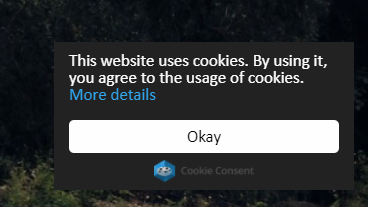 Please take note that the cookie notice will only be displayed within the EU.